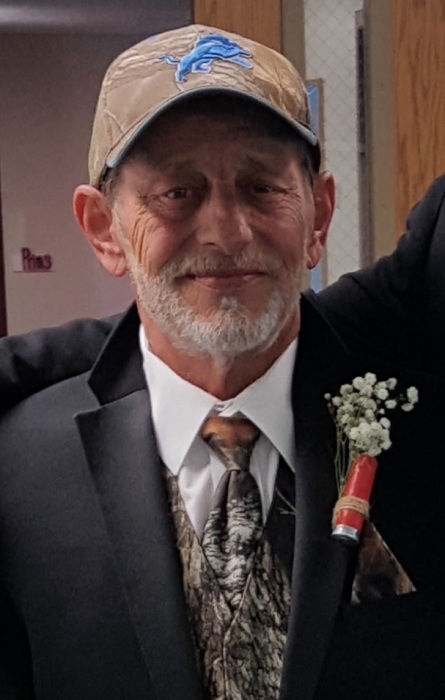 Arthur “Weed” Chase Jr., age 64, of Delta, passed away January 27, 2019 at Ebeid Hospice in Sylvania. He was born on October 17, 1954 in Wauseon, Ohio to Arthur & Rose Marie (Lambert) Chase, Sr. A self-employed handyman, “Weed” enjoyed being with people, especially his family. He was also an avid Lions and Ohio State fan. Left to cherish his memory is his mother, Rose Marie; children, Kristina (Matthew) Pelland; Cody (Mariah) Chase; Angel Chase; grandchildren, Destiny; Paisley and Iverson Pelland; brothers, Stephen and Pete (Connie) Chase; sisters, Susan Chase; Julie Chase; Ellen (Mike) Whitman and Carla Teel; sister-in-law, Jodi Chase and step-mother, Jean Chase. He was preceded in death by his father, Arthur Chase, Sr.; brother, Harvey Chase and sister, Deborah Baer. Friends and family will be received on Thursday, January 31, 2019 from 4-8 PM at Barnes Funeral Chapel, 5825 St. Hwy 109, Delta. Funeral services will be held at 10 AM on Friday February 1, 2019 at the funeral home. Burial will follow at Greenlawn Cemetery. Those planning an expression of sympathy are asked to consider the family of Arthur “Weed” Chase, Jr.; care of Terra Riegsecker. A celebration of Arthur’s life benefit will also be held on Saturday, February 2, 2019 at the Delta Eagles beginning at 6:30 PM.